In a series of experiments using the recordings of disturbed bees, Dr. Lucy King observed that African elephants (the research was conducted in Kenya) were repelled by bee alarm calls in contrast to the playback of white noise. Dr. King was interested in this response because of increasing human-elephant conflicts in Africa (and Asia) as human settlements and farmland encroach on and fragment elephant ranges, intersect with migratory routes, and provide alternate food sources. 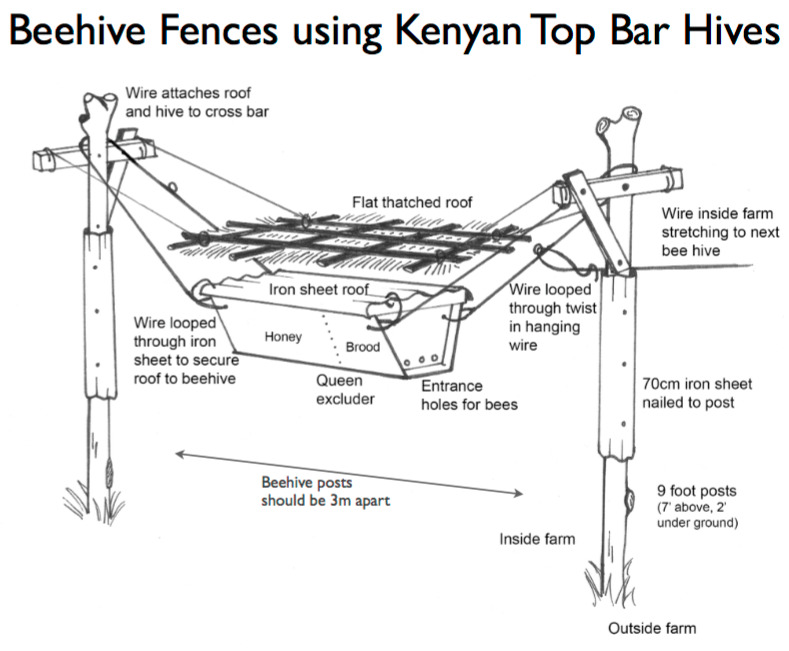 Using the African elephants memory of negative interactions with bees, Dr. King has designed and is field testing beehive fences in several African countries (Kenya, Botswana, Mozambique, Tanzania and Uganda) and in Sri Lanka. The beehive fence is one of many strategies and research under the umbrella of the Elephant and Bee Project. In addition to fewer negative interactions between people and elephants (fewer elephant and human deaths, fewer crop raids), this fence is also an ecosystem benefits technology. The bees provide regulating and cultural ecosystem services. Villagers harvest the honey for sale. Also, it is likely that higher numbers of bees will increase the pollination rates of local vegetation. I am curious as to whether the Elephants and Bees Project will collaborate with habitat conservation organizations. I can picture at the landscape level, strategic installation of beehive fences to steer elephant groups towards more optimal habitat and to more accessible migration routs. In addition, I am curious as to whether the concepts applied in the people-elephant conflict could be used to resolve human-wildlife conflicts in the U.S.
P.S. 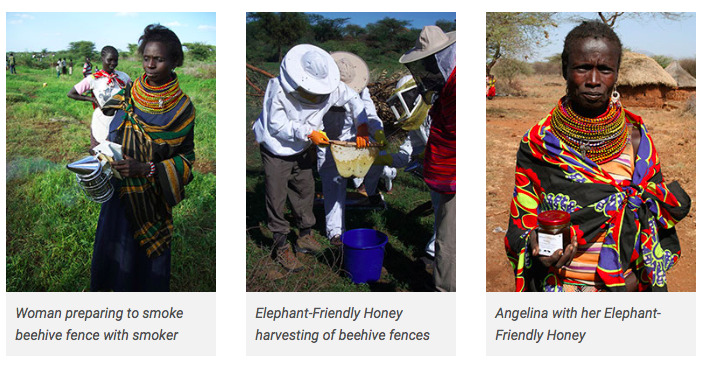 I first read about the Elephant and Bees Project on Edible Geography and again on Bldg Blog.